Looking for Reliable and Affordable Granny Flat Builders on the Gold Coast and Brisbane? Then Superior Granny Flats is the Choice for You. Family-owned and operated, Superior Granny Flats has been building additional homes in on the Gold Coast and in Brisbane for the past thirty years. But they’re not just any kind of home. They don’t attach to the side of your house or damage the outer finishing, because they are an independent structure. Despite their ever growing popularity across the world, there are many misconceptions about what granny flats are and aren’t. They aren’t pods, nor are they these massively complicated infrastructures that are an eyesore on your property. Worrying about devaluing your home with a granny flat on your land? Don’t. We can promise you that when our granny flat builders design and assemble a flat for you at your Brisbane or Gold Coast home, you might consider moving out of your main house and into this one. 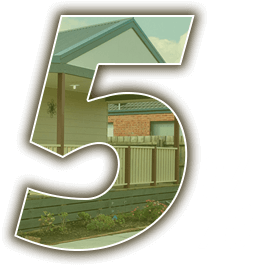 We’ve been building granny flats around the greater Brisbane and Gold Coast area for years. You may have seen one of our products across the street from your own house before, not really sure if it was a fancy shed or something else entirely, but that is far from the purpose they actually serve. Many of our customers order granny flats in order to move their parents closer to them while still wanting to maintain their privacy. However, one story homes don’t usually permit that, and having multiple families in one space can be cramped and hard on your home. Superior Granny Flats allows for a smaller, additional home to be built onto your property (usually towards the back of the house to allow for more room) with all of the comforts and regular amenities of a larger home. Depending on the size of flat you’d like to see, we serve a variety of options available to you when designing your very own granny flat. We have a range of different styles on our website as well as our showrooms in Bayswater VIC and Underwood QLD. Whatever you can come up with, we can design! From the colours painting the exterior and interior to the finish, you can customise the look and feel of your granny flat so that it matches your first home. No eyesores, no tacky bright pink flats. Your ideas – our builders. Though most of our customers depend on our products to help them move a family member in, we also create mini getaways that you can put directly into your back yard. For only $27,500, you can have your very own retreat in your yard or another location of your choosing that is on your owned property. Retreats include a porch, living, and sleeping areas so you can go away on holiday and don’t have to worry about pitching a tent. They are also perfect additions to add to your current home for guests to allow them privacy during their stay without having to demolish your home to add on a new room in the process.